Montalvo Arts Center | News | Join Us at Montalvo in 2012! Join Us at Montalvo in 2012! 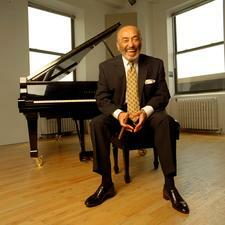 Latin music legend Eddie Palmieri coming February 12! Our Piano Masters series continues on Sunday, February 12, at 7:30pm, as "The Sun of Latin Music" Eddie Palmieri takes the stage in the intimate Carriage House Theatre. Palmieri, a nine-time Grammy winner, has a musical career spanning 50 years as a bandleader for Salsa and Latin jazz orchestras, over 30 albums, numerous awards, hundreds of festival appearances, and collaborations with some of the best jazz musicians in the business. Joining Palmieri will be the celebrated Brian Lynch Jazz Quartet, Grammy winners themselves who are known for their collaborations with Latin music icons as diverse as Hector LaVoe and Lila Downs. On Saturday, February 18, at 8pm, 20-year-old Russian virtuoso Daniil Trifonov, already the winner of numerous international competitions, will perform works by Chopin, Schubert, and Debussy. And if you haven't purchased your tickets to see Simone Dinnerstein on Saturday, January 14, at 8pm, now is the time - limited seats are available, and tickets are selling fast! This is also your last chance to purchase a Piano Pass, good for all five Piano Masters performances at a savings of up to 15%. Call the Box Office at 408-961-5858 10am-4pm Monday-Friday to get yours now! 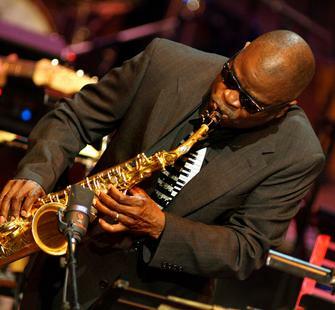 Why not start the New Year off with some top-notch funk on Wednesday January 11, at 7:30pm, with Maceo Parker? The lynchpin of James Brown's band and George Clinton's P-Funk AllStars, Parker is "able to ratchet up the funk like nobody else in the business" (San Jose Mercury News). Tickets are still available for what is sure to be a standout concert! Watch for next week's Metro to catch Maceo Parker's interview with Steve Palopoli, and visit metroactive.com to enter to win free tickets to the concert! To see the full list of upcoming concerts at Montalvo, click here. Purchase your tickets online anytime or call the Box Office today at 408-961-5858 (10am-4pm Monday-Friday). Circus Bella will perform July 29. We are excited to present the first-ever circus performance at Montalvo: Circus Bella will bring a spectacular one-ring show to the stage on Sunday, July 29, at 2pm! 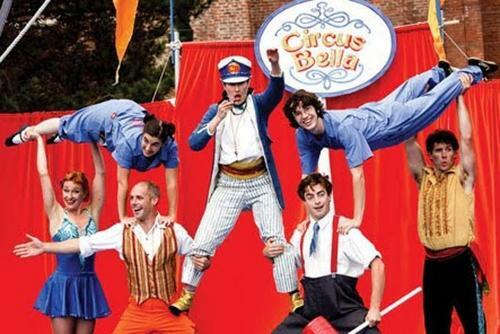 Circus Bella is a contemporary, open air act featuring an original score performed by a live quartet. Formed in San Francisco, Circus Bella's ensemble of nine incredible performers have been putting on original shows throughout the Bay Area since 2008. These shows feature high-flying trapeze, juggling, tightrope and more - everything you expect from a circus! If your kids love the circus, be sure to sign them up for our Winter Circus Arts Camp! This camp runs from February 20-24 during school break, and explores juggling, feather balancing, stilt walking, tumbling and clowning with "Texas the Clown" from the San Francisco Circus Center - all in a safe environment at Montalvo. Also during the week of February 20-24, our Residency Design Camp will delight and educate your kids about all areas of design: fashion, architecture, graphic and landscape design are all explored. Click here to visit our UltraCamp page and register online for either or both of these inspiring camps! Join us on Friday, January 27, at 6pm, as composer George Tsontakis discusses the new collaborative work he is developing in response to "Going Forth By Day," a video work by Bill Viola, supported by a commission from Chamber Music Monterey Bay. 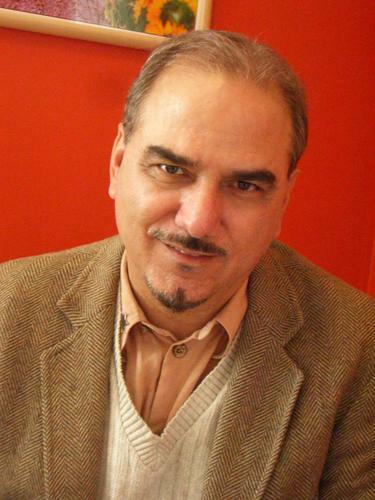 Tsontakis is the recipient of two major prizes: the international 2005 Grawemeyer Award and the 2007 Charles Ives Living, which is awarded to a living American composer by the American Academy of Arts and Letters. This FREE event begins at 6pm in the historic Villa, and will be followed by an Opening Reception at 7pm in the Project Space Gallery for our new exhibition, O' Great Reverie: Montalvo 1912-2012, a thematic timeline created by artists Scott Barry and Neil Doshi in celebration of our Centennial year. Montalvo Members are invited to a free wine reception prior to the event at 5:30 in the Phelan Library.